‘Atlantic Ocean. South Uist’. I entered my photograph into this years Royal Scottish Academy open exhibition and I was utterly amazed when it was preselected. I was even more amazed when it was actually selected for inclusion in the exhibition. 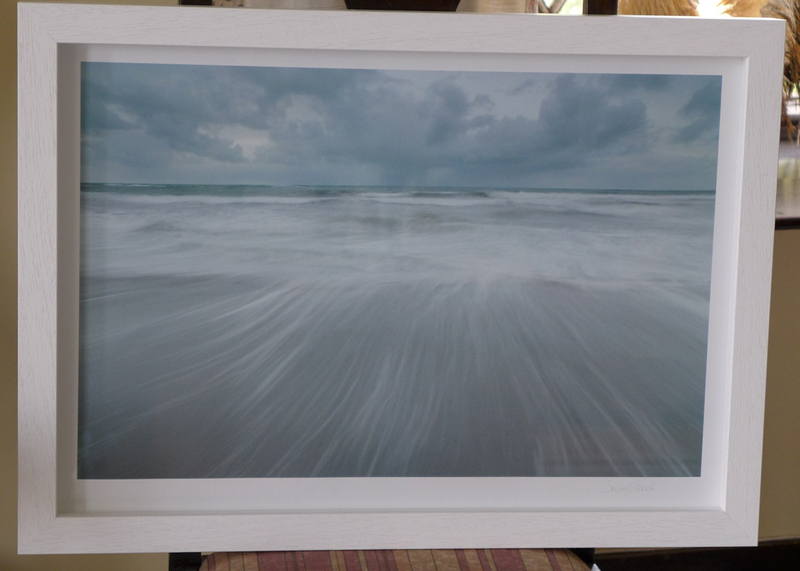 It’s the first time I’ve printed one of my landscape photographs, had one framed and had one exhibited. Happy days! If you are interested in purchasing a print, then let me know and I’ll email you further details. [J&D – Carrick Eriskay] Thank you so much, Shona, for a print of this work. We’ll be taking it to Puffin Studios in Creagorry for framing – as soon as they get back from holiday. Now, where in Carrick shall we hang it? All the best for a happy and productive year ahead!